Every company has a story, and the Scentsy Story continues to unfold (read below) and intertwine with Scentsy employees, Independent Consultants, and Scentsy customers alike. While living in Meridian, Idaho, even before I joined Scentsy, I had the opportunity to tour the Scentsy Home Office. As I walked into the office on Franklin Ave, Orville Thompson was standing there talking on the phone. I told the receptionist I was interested in joining, but really wanted to see first hand what Scentsy was all about. Once Orville’s conversation ended, he gave me a tour of the warehouse. I met a few key people and shook hands with them in the doorway of their offices, then headed to the main part of the manufacturing area. When I say manufacturing, I mean it was old school Scentsy. They were pouring wax by hand, dipping Scent Circles (or Car Candles as they used to be called), labeling bars by hand, and filling boxes for customers. Orville shared with me his vision for Scentsy, and his love for the customers and consultants. He had (and continues to have) so much gratitude for all those who helped, and gave freely of their time, to make sure Scentsy was a success. I was so impressed that Orville would take time out of his afternoon to personally give me a tour, and chat with me. With all of my questions answered, and my “WHY” already planted in my head, talking with Orville sealed the deal. I went home and signed up as an Independent Scentsy Consultant. You can read my personal Scentsy story, or continue reading the Scentsy Story below. 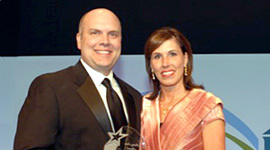 Orville Thompson’s entrepreneurial spirit emerged long before he and his wife Heidi launched Scentsy on July 1, 2004. 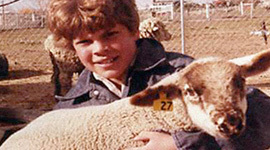 In 1979, 10-year-old Orville approached his father about purchasing a flock of sheep from a neighbor, who was offering to accept half of the following year’s lambs as payment. Orville agreed to sell his horse to pay for feed. Orville’s father agreed – believing he was raising a son rather than sheep by allowing Orville to take on this huge responsibility. Over the next several years, Orville turned his flock from a collection of crossbreeds into a purebred flock. He earned money selling sheep at auctions and to other young people who would raise and show sheep through programs like 4H. By the time he graduated from high school, Orville had $14,000 in the bank. In 1990, Orville married Heidi Braucht. The young couple moved to Seattle, Washington, where Orville was studying at the University of Washington. Following his graduation in 1992 with a B.A. in History and a strong interest in international trade, Orville worked in international shipping, where he further honed his entrepreneurial acumen and business skills — but for very little income. In 1994, the job market was shrinking and Orville and Heidi had a growing family to support. Orville put aside the thought of a corporate career or a Ph.D. in History and instead went into business with Heidi’s mother, Alice, developing a car wax formula and selling it (along with other products) at fairs and shows in the Pacific Northwest and surrounding areas. For the next year, Orville and Heidi lived in a travel trailer with their first child, roaming throughout the country working the fairs and shows business. With the impending birth of their second child, the growing family put down roots in Meridian, Idaho, trading the travel trailer for a house. Orville continued to work the fairs and shows business, and his company, Event Sales, became one of the largest fairs, shows, and mall kiosk companies in the western United States. Heidi concentrated on raising the family while Orville spent many months each year on the road selling car wax, shammies, 64-in-1 video game controllers, and other popular products. Event Sales was successful on the surface, but Orville regularly needed to take on greater amounts of debt to keep the company afloat. 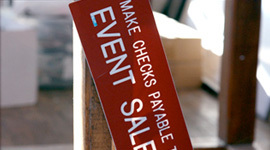 In March 2004, without enough money in the Event Sales checking account to pay the rent on booth space, Orville attended a Salt Lake City, Utah, home show. He wrote a check to the show promoter, saying, “This check is bad. Don’t cash it, but please let me set up. I will buy this check back from you with cash by the end of the show.” The promoter agreed. Orville set up his booth selling 64-in-1 video game controllers across the aisle from two stay-at-home moms who were selling decorative warmers designed to melt scented wax with the heat of a light bulb instead of a traditional wick and flame. Over the next few days, the wickless candle concept fascinated Orville. He struck up a conversation with the women during a lunch break, and they swapped products. Orville traded a video game controller for a warmer, several wickless candle bars, and a set of scent testers. He took the products home to Heidi, who now admits she planned to toss them into the pile of other products Orville was fond of bringing home for her to evaluate for Event Sales. The products never made it to the pile of discards. Instead, Heidi fell in love with them. A few days after returning from the home show, Heidi was visiting and sharing the scents testers with her mom and sister. Orville left to run an errand and came home to find the women still smelling the testers, laughing and sharing memories. They were having a great time and something smelled delicious. He asked Heidi what she was baking and the women laughed. She told him it was a Scentsy candle bar called Banana Nut Bread. Orville was touched by the cozy scene and intrigued to see how different scents could evoke emotions and memories. 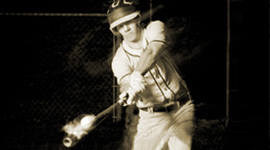 He was energized by how natural it was to share those feelings and memories with others in the “party” environment. 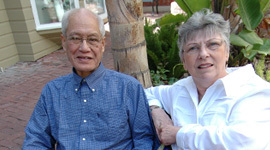 Orville and Heidi purchased the tiny company and moved Scentsy to Meridian, Idaho. Heidi quickly immersed herself in the new venture. She was in love with Scentsy products and determined to see the company succeed. Heidi’s participation in the business would prove invaluable. While Orville traveled for Event Sales as he did each summer, Heidi took over the financial books and began researching different business models, including direct selling. She learned about the Direct Selling Association (DSA) and was impressed by the DSA’s high level of support for its members. But what really drew her to DSA was the organization’s Code of Ethics. Heidi convinced Orville to attend the DSA’s national meeting in New Orleans even though the expense was considerable. In fact, Orville and Heidi now laugh that they had to “rub their remaining credit cards together” to come up with the funds for just Orville to attend that meeting. And that’s where the idea to launch Scentsy as a party plan company was formed. Orville and Heidi learned everything they could about how the direct selling business model worked. They realized how well that model suited the wonderful experience the women in Heidi’s family had shared in her kitchen with the Scentsy testers. 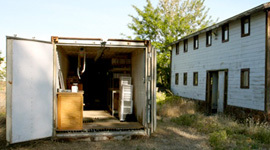 Scentsy’s first home was a 40-foot metal box. For several months, the Thompsons and their five kids ran Scentsy’s manufacturing and shipping operations from an old ocean shipping container that had been sitting on the family sheep farm in Meridian, Idaho. Orville had secured the farm and started raising sheep when he felt discouraged with his failing Event Sales business. It was his way to reconnect to a time when he felt inspired as a successful entrepreneur. Now it was time to sell the sheep and get to work. Because they were deeply in debt, with no credit line or means to take on investors, Orville and Heidi had no choice but to “bootstrap.” They used what they had — including converting a mouse-infested ocean container into the “home office” — and worked tirelessly, nearly around the clock, to launch the fledgling company. By October 2004, Scentsy had outgrown the container on the farm. Orville and Heidi signed their first lease and moved into a 1,800-square-foot warehouse and office facility on Franklin Avenue in Meridian, Idaho. They knew it wouldn’t hold them for long, but it was what they could afford. There was enough room to manufacture and store products, and space for employees — but not enough money to pay them. Together with their family and friends, the Thompsons poured, cooled, packed, and shipped all the wickless candles themselves. Heidi’s parents, Alice and Fred, pitched in and worked seven days a week, at no salary, for nearly two years. Scentsy’s early Consultants often showed up to help pack and ship their own party orders, and Orville’s mother joined right in to help them when she came to visit. In June 2006, Scentsy doubled its square footage, moving to a new 5,000-square-foot facility with warehouse space for manufacturing and shipping, and office space for its growing staff. But it was only a matter of months before the company outgrew that location, too. After less than a year on Adkins Drive in Meridian, Scentsy was already sorely in need of more space. It was time for a bold move. 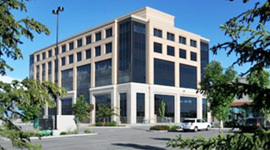 Orville found a building in Meridian with enough space to accommodate Scentsy’s growth. But when he approached the property owner in March 2007 to talk about terms, the owner thought Scentsy’s revenue projections of 400 percent growth by year’s end were unreasonable. Not willing to give up, Orville cut his projections by half and met with the landlord again. Hours before Scentsy’s annual Convention in July 2007, the landlord finally agreed to lease space to Scentsy. And incidentally, Scentsy’s growth in 2007 (more than 600 percent) was in line with Orville’s original “unreasonable” projections. Scentsy’s new 42,000-square-foot location at 3698 East Lanark Street housed most of Scentsy’s operations, including new office space for its growing staff. Scentsy moved in just in time for the very busy holiday selling season. At the time, neither of the Thompsons believed Scentsy would ever fill the space. In October 2007, the company opened a 14,000-square-foot distribution center near Chicago, Illinois, to accommodate the company’s growth in the eastern United States. In June 2008, Scentsy began to automate, speeding up production with a custom-designed candle bar injection machine — christened Alice in honor of Heidi’s mother and her generous service to the company. In August 2008, the company installed a second candle bar injection machine, appropriately named Fred in honor of Heidi’s stepfather and his donated time. Several additional automated candle bar injection machines joined Alice and Fred later that year. By the end of 2008, Scentsy filled more than 100,000 square feet in the East Lanark building. In September 2008, during a system-wide software upgrade, a switch was unintentionally left open that allowed Puerto Rico residents to enroll as Consultants. And enroll they did. By the following summer, the Puerto Rico market was growing at a rate six times higher than the US rate. The leadership team was concerned. Scentsy had few bilingual field leaders and very few training materials translated into Spanish. With such rapid growth and limited communication, Scentsy executives wondered whether the guidelines, ethics, and policies were being followed. Chuck Thompson, Scentsy’s Chief Financial Officer, and Mark Stastny, Scentsy’s Chief Marketing Officer, took a team of employees to Puerto Rico to see what was going on. What they found amazed them. “The alignment with the Scentsy values was incredible,” Mark says. Somehow the Scentsy message made it smoothly through the language barrier. Puerto Rico’s family-oriented, close-knit culture offered a perfect environment for the Scentsy model. In June 2009, a month before celebrating its fifth anniversary as a party plan company, Scentsy was awarded the DSA’s first ever Rising Star Award, given to the DSA member company that showed the most remarkable growth while demonstrating adherence to the DSA’s Code of Ethics. Several weeks later in July 2009, Orville and Heidi threw a most unusual and compelling “party” to commemorate Scentsy’s fifth anniversary. To express their appreciation for the success Scentsy had achieved and show support for their community, the Thompsons gave their employees and vendors and their family members a total of $100,000 cash to spend in one day in 40 family-owned small businesses in the Boise area. Businesses were nominated by Scentsy executives and employees and chosen by a committee. Employees kept what they purchased as thanks for their contribution and $2,500 was spent in each location, giving some small local businesses an infusion of cash rarely seen in those economic times. This celebration served as the inspiration for Scentsy’s fall 2009 “Contribute” campaign in which Consultants were encouraged to mirror Scentsy’s local program in their own communities. In July 2009, the company also launched a new 80,000-square-foot distribution facility in the Lexington, Kentucky, area to improve service to Consultants outside the Intermountain West. In October 2009, Scentsy looked beyond its national sales model and opened the doors to selling and recruiting in Canada. In an unusual move for a party plan company, this first international expansion allowed U.S.-based Consultants to sell and recruit across the border. In this way, Scentsy’s values and “spirit” crossed the border as well. New Canadian Consultants received training and support from seasoned Consultants in the U.S., and U.S. Consultants were given an opportunity to grow their businesses. Scentsy showed a profit in Canada in less than three months. At the end of the first quarter of 2010, Scentsy had more than 1,000 active Consultants in Canada. By the end of the year, Scentsy had spread operations to all 50 United States, Puerto Rico, Guam, and Canada. 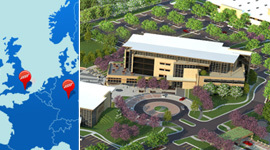 In July 2010, Scentsy upgraded to a new facility. This time, most of the company’s Meridian, Idaho, staff (excluding Shipping and Manufacturing personnel) moved to a new space across the street from the East Lanark location. This new 65,000+ square-foot location will buy the company some much needed elbow room as it continues to grow. East Lanark continues to house the company’s warehouse and shipping operations, along with Scentsy’s Wellness Center, a full-service gym with a full-time fitness trainer, available at no cost to all employees (and at very low cost to their spouses). As Scentsy employees stretched their legs in the new facility, they also celebrated six years in business with Six-Pack Give Back, six volunteer events in Idaho’s Treasure Valley. Together with Consultants, friends, families, and suppliers, Scentsy employees donated blood, sweat, and time to support the Susan G. Komen Race for the Cure — the Scentsy team had 2,200 participants! — Boise’s Paint the Town event, the Red Cross, Dress for Success with the Women’s and Children’s Alliance, Wednesday’s Child, and 20 family-owned Treasure Valley businesses. In addition to the exciting expansion, 2010 brought new honors for the company: Scentsy was included in the Direct Selling News Global 100 list of top direct selling companies, as well as being named the number one consumer products company on the Inc. 500 list of the fastest-growing privately held companies in the United States. At the start of 2011, Scentsy announced big plans: a 50-acre campus with a 157,000-square-foot office tower, a 159,000-square-foot distribution center, and a 105,000-square-foot warehouse. 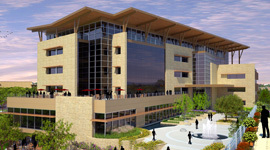 Construction on the campus began almost immediately. As Scentsy worked to accommodate its continued growth at home, the company also began looking beyond its continental borders. In April 2011, Scentsy expanded to Europe with a successful launch in both the UK and Germany; by the end of the year, the company had also launched in Ireland. Progress continued on the new campus. The Scentsy rail line — which runs right up to the new campus — was completed and celebrated with a Golden Spike Ceremony, and in late summer, Scentsy moved into its new manufacturing building and distribution center. In September 2011, the company also opened a new 146,000-square-foot distribution facility in Coppell, Texas, to better serve Consultants and customers in the Southwest. Throughout the year, Scentsy was recognized in a variety of ways, from Heidi being named the Idaho Business Review Woman of the Year to again being included in the Inc. 500 list — ranked this time among the top 100. The company continued to devote a large portion of its resources to charitable causes, through events like its Halt the Hunger campaign, which raised more than $600,000 for the Idaho Food Bank, and the Scentsy Teeter-Totter-a-Thon, which raised money for seven children’s charities. And Orville once again took up raising sheep with his father in his spare time. 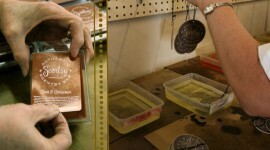 In March 2012, alongside the release of the new Scentsy Spring/Summer 2012 Catalog, Scentsy launched a new product line: Layers by Scentsy, a personal and laundry care line that would allow Consultants and Customers to extend the Scentsy fragrance experience from their skin to their clothes. In 2009, Scentsy Global launched in Canada. As of May, 2014, Scentsy Family Brands are currently in the Untied States, Canada, Mexico, United Kingdom, Germany, Australia, Ireland, France, Poland, Spain, and Austria. Scentsy offers ground floor opportunities, in multiple countries, with unlimited income potential. Safe candles will continue to open in new countries, with global distribution centers! Personally, I will be so excited when Scentsy China, Scentsy Japan, and maybe even Scentsy Africa happens -what a great time to be a global Scentsy consultant.